Step 2 : Stir Sweet Pee with a scoop or stick daily to mix used pellets with unused ones so that all share equal amount of moisture/urine content. Remove droppings and leave an even surface for next use. 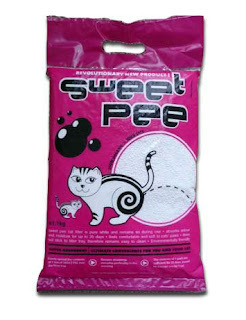 Step 3 : Disposal : Once Sweet Pee pellets are fully exhausted after 30 to 35 days or when slight odor is preset, dispose all Sweet Pee from the litter tray and replace with a new bag as Step 1.